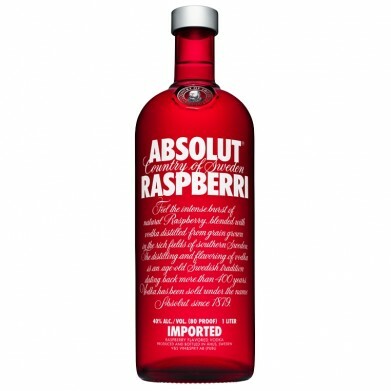 ABSOLUT RASPBERRY VODKA LTR for only $24.99 in online liquor store. Absolut Raspberri is made exclusively from natural ingredients, and unlike some other flavored vodkas, it doesn’t contain any added sugar. It’s rich and intense with the fresh and fruity character of ripened raspberries.